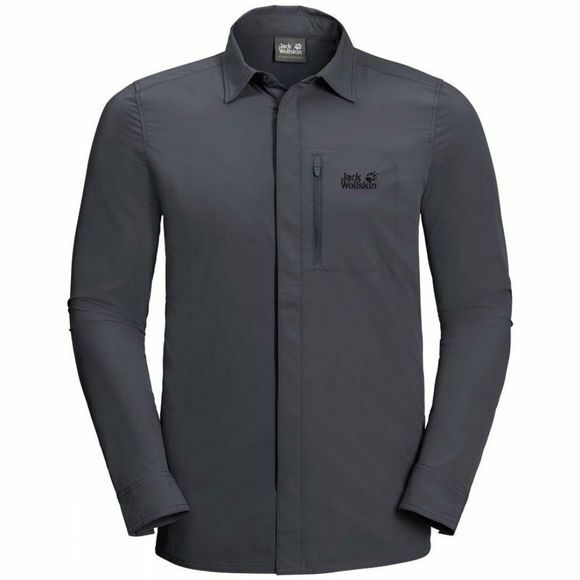 Uphill, downhill or moving fast on a level trail, our Mens Hilltop Trail Shirt delivers unbeatable comfort when you're working up a sweat. The advanced breathability performance takes care of that. This T-shirt is made of an agile, stretchy fabric and has a casual, sporty cut. The fabric also blots up perspiration efficiently and wicks it away from the skin to the outer surface. So you always feel nice and dry, whether you wear the shirt on its own or as part of your layering system. The fabric has several additional attributes that support your physical performance during high-output activities. It is hard wearing and provides the reliable UV protection you need in the mountains or the summer sun. And the S.FRESH fabric technology puts a stop to unpleasant odours.